There’s lots of Brownie recipes available and I’ve already posted some myself, but I like this one as it needs no beating and it’s made in just one bowl. That means that by the time the kids lick the bowl and spoon there’s hardly anything to clean up. 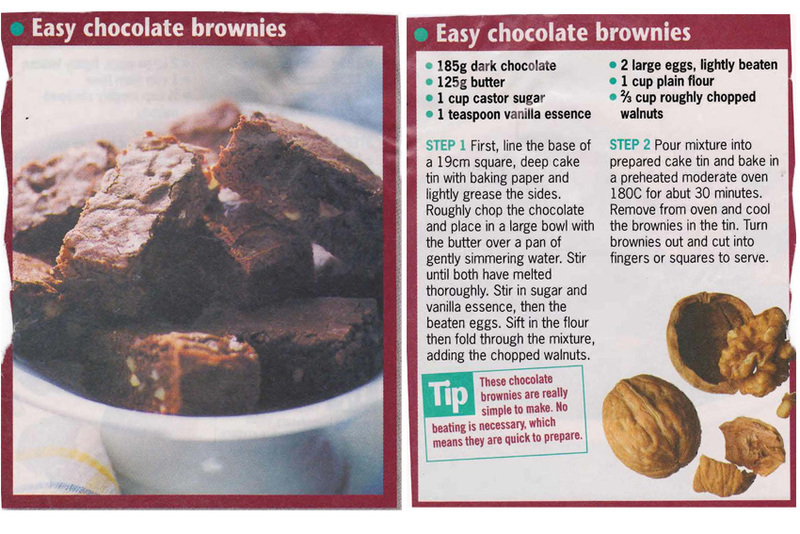 This entry was posted in All Recipes, Biscuits & Slices and tagged 1990s, chocolate, chocolate brownies, easy chocolate brownies, eggs, walnuts by bebsrecipes. Bookmark the permalink.